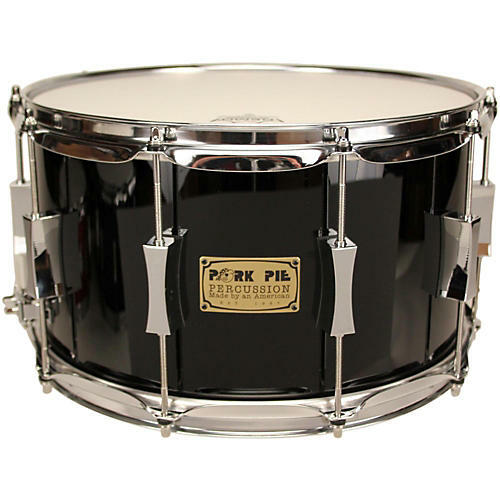 This Maple Oak Snare from Pork Pie offers the full attack of oak and the round, warmth of maple. The shell features four plies of maple outside and four plies of oak inside to give this drum unique tonal characteristics. Built for heavy hitters or finesse players in need of projection, this 14 x 8" snare is fitted with 2.3mm steel hoops, Pork Pie exclusive hourglass shaped lugs and Remo Heads. A high-gloss lacquer gives this drum lasting beauty.